Lisa G. Jing is Founder / CEO of Synergy at Work, Inc., a training and consulting company dedicated to transforming the workplace into an environment where people are their whole and best selves. Lisa specializes in an integrated, whole-person approach to Employee Well-being as a cornerstone of company culture. Prior to starting her own company, Lisa was recognized as a thought leader in health and wellness solutions in the corporate sector. 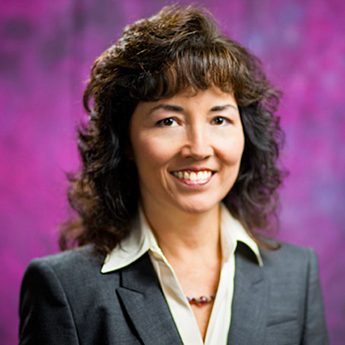 As a founding member on Cisco’s award-winning employee health initiative, Lisa developed strategies and implemented programs to enhance the well-being of employees and their families. Her focus was integration of mental and physical health to build greater resilience and sustainability in both individuals and organizations; development of industry leading metrics to optimize the human capital management strategy; and innovative approaches to explore how health and well-being contribute to overall employee engagement. As a Certified Corporate Wellness Specialist, Lisa is a popular speaker and panelist at corporate and industry events. Her commitment to helping clients create highly effective organizational cultures is expressed through her corporate training topics which have included Employee Health, Diversity / Inclusion, and Passion at Work. She is a lifelong learner having been an Assistant Trainer and graduate of Peak Potentials Quantum Leap Business and Personal Development Program. She is a Certified Trainer and former Program Consultant for Wellness Works, a workplace mental health training program offered by Mental Health America of California. As a Certified Passion Test for Business Facilitator, Lisa helps organizations get clear on their unique contribution and what matters most for them to deliver that unique contribution, while assisting employees of the organization to identify what’s most personally meaningful in their work / career, then use that clarity to create greater success, alignment, and fulfillment on the job. Her passion is to bring more spirit to the workplace through organizational culture change and groundbreaking programs which foster integration of mind, body, and spirit. To facilitate adoption of a whole-person approach, Lisa created The Diamond Model of Integrated Health and Well-beingu00a9, a distinctive conceptual and structural framework for designing strategic wellness initiatives. Lisa holds an M.A. in Counseling Psychology from Loyola Marymount University and a B.A. in Psychology from the University of California, San Diego. Her career portfolio includes clinical counseling and crisis intervention, healthcare marketing, technical recruiting, consulting, and human resources. She is a contributing author to the bestselling Adventures in Manifesting series.